Delta Optical Thin Film (booth 804, Bios 8804) will be exhibiting its custom continuously variable bandpass filters (CVBPFs) for mid-size and full-frame CCD or CMOS sensors. These filters offer very high transmission and are fully blocked in the light sensitive wavelength range of silicon-based detectors. 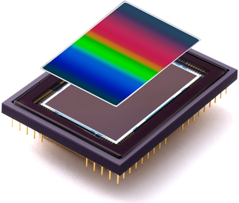 Combining CVBPFs with silicon detectors enables the design of very compact, robust and affordable hyperspectral imaging detectors that offer several advantages and benefits over conventional approaches. These include: having a huge aperture compared to grating and prisms; offering higher transmission than grating and prisms; short measurement time; high suppression of stray light; excellent signal-to-background ratio; the ability to perform simultaneous 3D measurements; and the ability to perform snapshots using a micro-lens array. Classical hyperspectral imaging cameras use prisms or grating as dispersive elements, which make the cameras bulky, sensitive to misalignment and expensive. 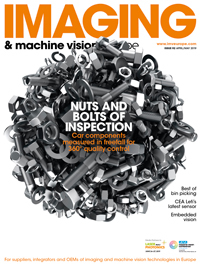 The advent of alternative approaches, such as Delta’s CVBPFs, makes hyperspectral imaging attractive for volume markets or even consumer products, for example in cancer detection, precision farming and for food testing in supermarkets.